Over the years, Brazil has experienced sporadic, yet significant, economic growth and declines. Several factors have contributed to this, such as political shifts and exchange rates regimes, but more specifically, a combination of import substitution and export promotion strategies that have had a significant effect on the Brazilian economy.This briefing will provide an analysis of the implementation of export promotion and import substitution policies in Brazil, along with the demand and supply constraints that hinder their successful application within the Brazilian economy. Throughout the past two decades Brazil has had strong economic growth, which has slowed down in the last few years. This begets the question, what exactly has been dragging down Brazil’s economic growth? On average, low levels of importation generally tend to correspond to declines in GDP growth, and high levels of exportation correspond with GDP growth. 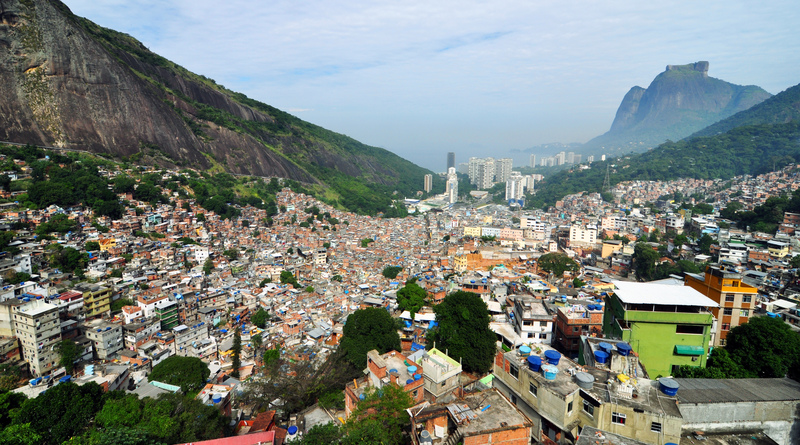 In Brazil, the decline in economic growth can be attributed to a decrease in exportation. In 2014, Brazil ran a trade deficit of $3.93 billion, a decrease from its $2.5 billion surplus in 2013, and this decrease continues to negatively impact economic growth in the Brazilian economy. Import substitution was a main strategy used in the 1950s to 1960s, and was employed in Brazil from the 1930’s onwards in the form of import licensing, tariffs, quotas, import prohibitions, overvalued exchange rates, and direct government investment in key industries. Trade barriers were set up for imports that competed with domestic production, and allowed for the increase in manufacturing production, and industry was the driver of growth. The institution of import substitution policies were not as effective in increasing GDP, and were insufficient to permit competitive integration into the international market. As of 1988, the government began a new policy of export promotion with the intention of inducing, through external competition, a more efficient allocation of resources. Demand constraints have hindered the successful implementation of import substitution policies. Firstly, the Brazilian government attempted to improve the industrialization process and paid special attention to industries considered basic for growth: automobile, cement, steel, aluminum, cellulose, heavy machinery and chemical industries. This backfired in the form of demand deficiency for domestic goods due to higher domestic prices. This caused a reduction in the domestic consumption of goods and services, while the increase in manufactured production increased the demand for the importation of inputs used in the production process. Secondly, the lack of demand due to the smallness of the domestic market led to industries not being able to take advantage of the economies of scale. In turn the nation faced inefficient production, high costs, low profits, and thus, unsuccessful implementation of import substitution policies. The Brazilian government overvalued and fixed the exchange rate in order to decrease the price of the many inputs being imported into the country, however, this resulted in a higher international price of exports, and along with high trade barriers, contributed to the lack of competitiveness on the international market. Consequently, Brazil was unable to sell enough exports to buy the imports it needed, resulting in a trade deficit. Brazil’s imports of goods and services was significantly higher than the exports of goods and services until 1982, when export promotion policies were beginning to be adopted by developing nations. Additionally, supply side constraints have impeded the successful implementation of import substitution policies. Firstly, when there is a lack of vertical integration there is a risk of economic policies not having the extent of the desired effect. Vertical integration occurs when a company buys and controls other businesses along its supply chain. The Brazilian government attempted to boost vertical integration by promoting both final consumer good industries and intermediate capital goods sectors; however, special interest groups pressured the government to not develop domestic intermediate and capital goods industries as the production costs of those inputs would greater than imported inputs. This lack of vertical integration resulted in a lower supply of goods than would have been if vertical supply had been implemented. As lower supply increases domestic prices and drives down consumption, aggregate GDP also suffered. In industries where there was vertical integration, on the other hand, high costs to production of inputs hindered the profits made, resulting in a lower level of growth than desired. In order to increase the supply of domestic goods and services, the Brazilian government promoted import substitution policies by subsidizing capital-intensive sectors, while also providing financial support to them. Such spending persistently outpaced government revenue and created budget deficits, which the government attempted to solve by printing more money, increasing the money supply that led to inflation, and inefficient high-cost industries. This focus on the industrial sector meant that there was less financial support towards the agricultural sector, resulting in a decrease in agricultural efficiency and the supply of primary goods. The Brazilian government should have subsidized and promoted the supply of primary products, where it had a comparative advantage due to the small market, initial limited capital and a general supply of skilled labor. By specializing in the sector where it held comparative advantage, efficiency would not have hindered import substitution policies and world output would have increased. Currently, as Brazil’s exporters move further from comparative advantage, the survival rate of export declines. A history of import substitution and export promotion policies have resulted in a cycle of economic growth, decline, trade surpluses, deficits, currency appreciation and depreciations. As this brief has demonstrated, several demand-side and supply-side constraints hinder Brazil’s success in stimulating the economy. Despite these constraints, export promotion was perceived as a success that led to a surge in both imports and exports as a percentage of GDP; increasing domestic efficiency and realizing export potential. All the while, import substitution was perceived as a failure that resulted in inflation, foreign ownership and dependence on the import of inputs. [footnote]Import Substitution, The Business Dictionary, http://www.businessdictionary.com/definition/import-substitution.html November 20th. Export Promotion, The Business Dictionary, http://www.businessdictionary.com/definition/import-substitution.html November 20th. “The Difficulties Facing Brazil’s New Export Plan”, Stratfor, Global Intelligence. November 20th. Eesha Sen Choudhury, Lecture: “Export Promotion and Import Substitution,” McGill University, November 3rd. Cardoso, Eliana: “A Brief History of Trade Policies in Brazil: From Export Promotion and Import Liberealization to Multilateral Regional Agreements”, 5. March 2009. U.S Library of Congress: “Brazil and Import-Substitution Industrialization, 1945-64”. November 20th. N.C Pariyah, “Import Substitution and Export Promotion as Development Strategies”, 2. 2008. Baer, Werner: “Import Substitution and Industrialization in Latin America: Experiences and Interpretations”, 5. Latin America Studies Association. 2009. Kesselman, Krieger, Joseph: Introduction to Comparative Politics: Political Challenges and Changing Agendas, 370. Ciurack, Dan: “Supply and Demand Side Constraints as Barriers to Growth”, 20. Munich 2010. Bpk Development, Research and Consultations.